South London. The 1980s. David Good, a morally confused and womanising private investigator, is hired by a ridiculously beautiful blonde to help her fend off the attentions of a serial blackmailer. But he's barely got to grips with the woman's keen sense of self-interest when he stumbles on to something far more unsavoury. Join Good in this action-packed case as he seeks to simultaneously unravel both the crime and the woman. 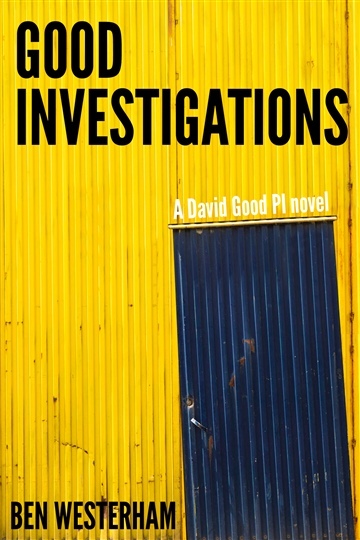 Ben is the author of the David Good, private investigator, stories. Set in London during the 1980s, they follow the adventures of a PI in tune with his neck of the woods and in possession of some distinctly pliable morals. The stories place a big emphasis on relationships, especially those between Good and the many women that pass through his life. Al come served with a side-order of humour. Ben was born in London and spent most of his childhood in the semi-rural environs of north-west Kent, before heading off to the altogether different and industrial metropolis of Manchester for three years as an under-graduate. Ben now lives in rural Northamptonshire in the English Midlands with his family and an over-worked computer.